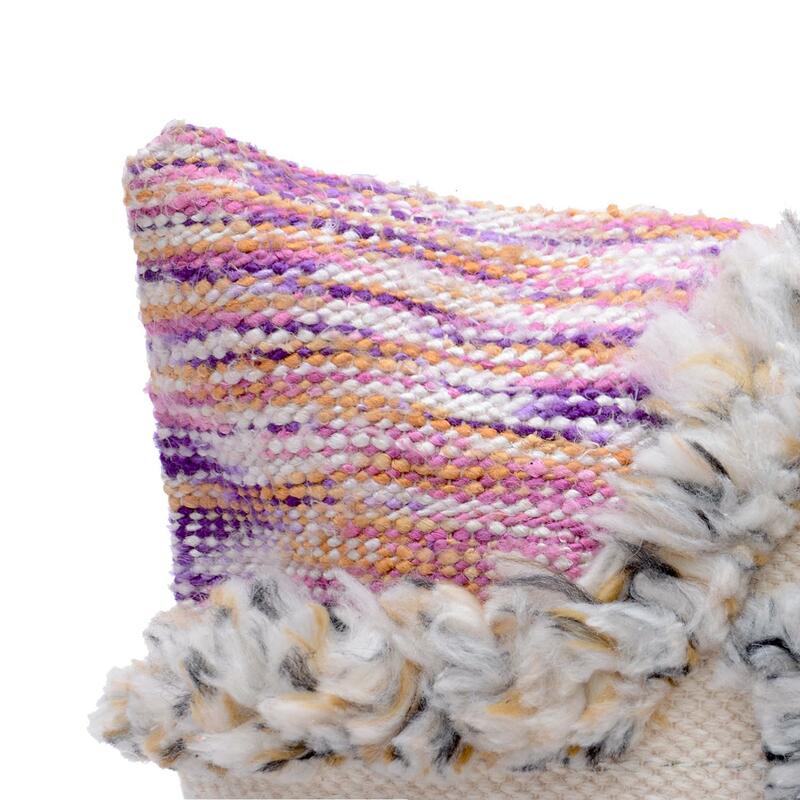 Home / COTTON CUSHION COVER / Woven Cushion / Decorative White Cushion Cover Size: 18" x 18"
Decorative White Cushion Cover Size: 18" x 18"
This decorative 100% cotton woven cushion cover layered with multicolored woven texture and shaggy on white cotton base looks exceptionally rich in appearance. 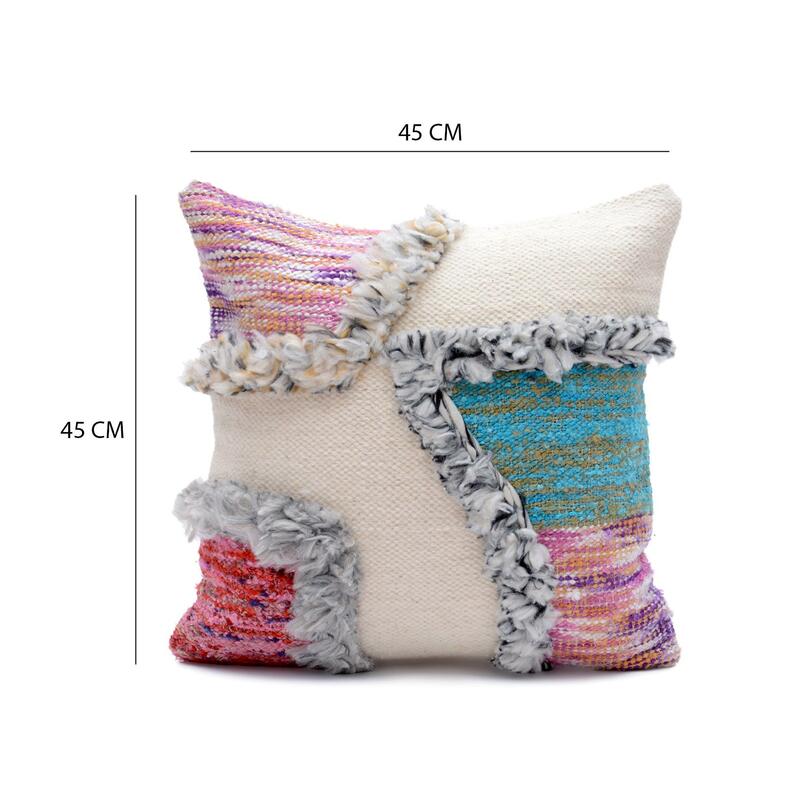 This cushion covern has a unique design, to add a focal point to your room. 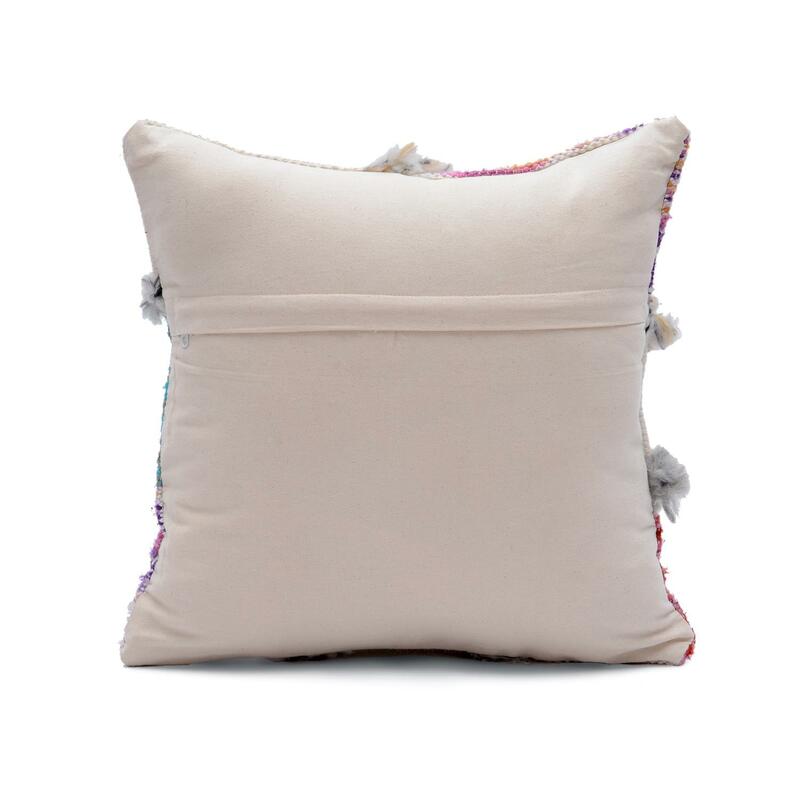 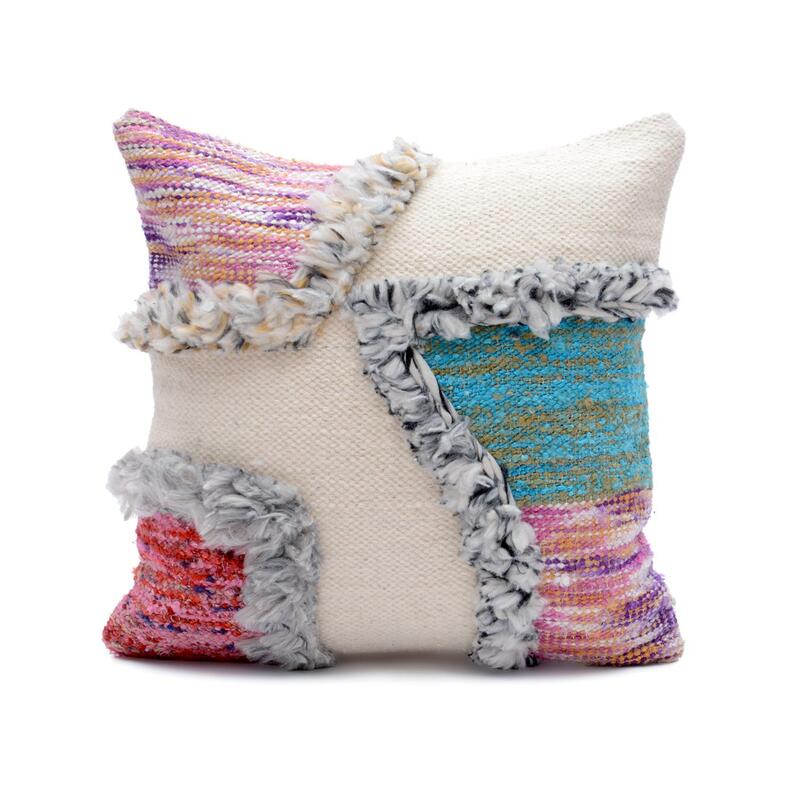 add a highlight to your living room or bedroom with this decorative woven cotton cushion cover.